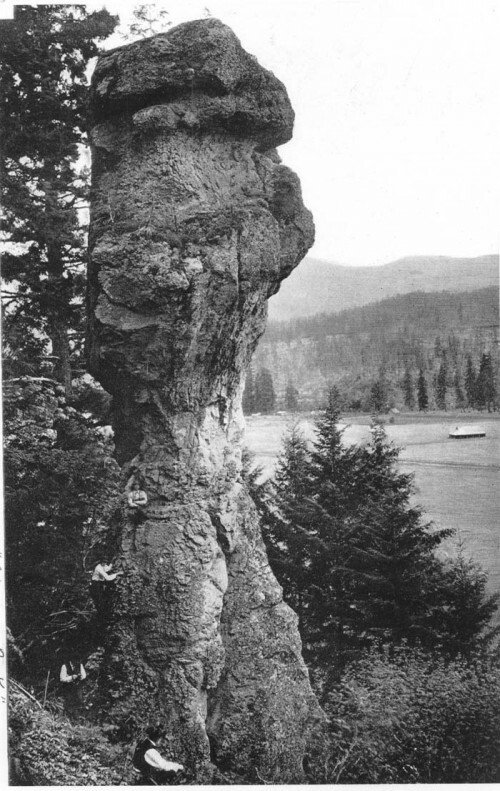 The Cottage Grove Historical Society has this wonderful photo of Chimney Rock from 1910. Look at the figures on the bottom left of the rock to get a sense of its size. The rock is on Row River Rd, about a half mile or so up past Teeters Creek, but is best seen from Shoreview Drive across the lake.